JERUSALEM (CNS) — The heads of Jerusalem’s Christian churches expressed “serious concern” over an escalation in tensions in Jerusalem’s Old City as hostilities remained high following the mid-July shooting deaths of two Israeli policemen and three gunmen on the Al-Aqsa mosque compound. Police believe the gunmen — three cousins, Arab citizens of Israel who were killed by Israel police — stashed their weapons inside the compound of the holy site for use in the July 14 attack. 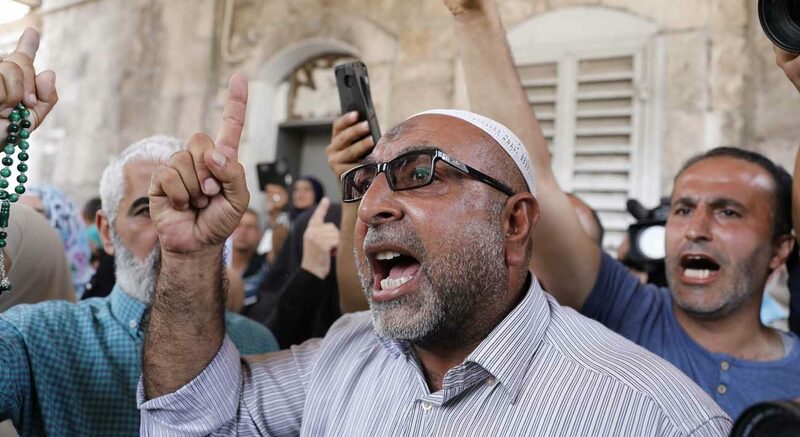 Jerusalem Muslim leaders have called on worshippers not to go through the metal detectors, and Muslims have been converging outside the Old City’s Lion’s Gate for prayers instead. “We renew our call that the historical status quo governing these sites be fully respected, for the sake of peace and reconciliation to the whole community, and we pray for a just and lasting peace in the whole region and all its people,” the Jerusalem church leaders said.